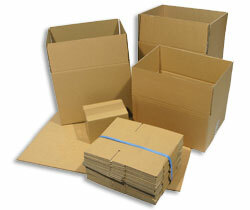 Double Wall Corrugated Cardboard Boxes are ideal for heavier or sensitive goods that require extra protection in storage, packing or transportation. Made from 100% degradable and recyclable high quality double fluted corrugated board, these heavy duty boxes are durable and can be used time and again. Just use tape to seal up the bottom and top flaps. Supplied flat packed for convenient storage and easy assembly. Sides creased at intervals for variable depths (6/4.5/3"). Simply cut to the creased height needed and fold down to create a custom size carton. 120T/BC/T. 120gsm fully recycled outer (Test) with a double wall BC profile flute and a fully recycled Test inner. Box measurements shown in product description are internal and are L x W x H. All double wall boxes are made to FEFCO style 0201.